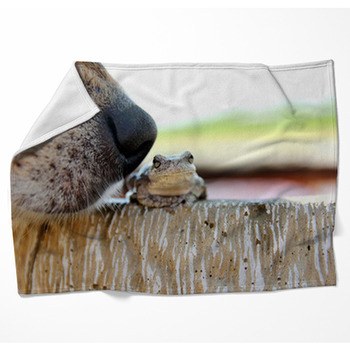 From fairy tales to nature images, frogs are one of the most popular animals, beloved by both children and adults, and now you can show your love of frogs in your home with our huge selection of custom fleece frog blankets. 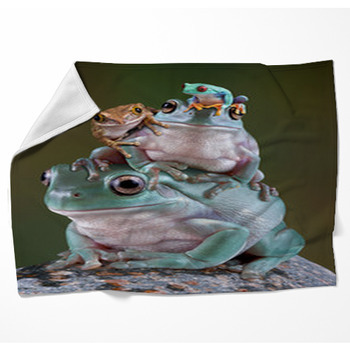 For the kids, we have abundant blanket designs of cartoon frogs. 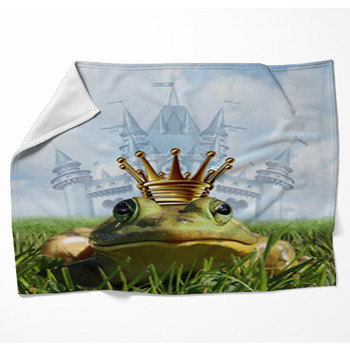 Cute, bug-eyed frogs chasing flies, a frog smiling with a golden crown on his head and a lipstick kiss mark on his cheek, frogs sitting on a lily pad or jumping onto a red and white toadstool. 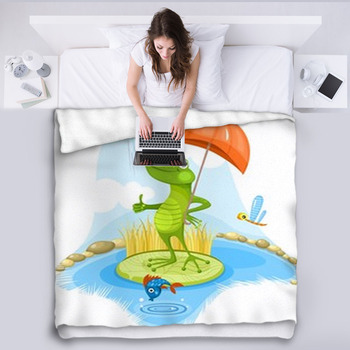 For a throw blanket to put on your couch, select our blanket designs of more realistic looking frogs doing silly human things, such as lifting barbells, riding a motor scooter, drinking champagne, sunbathing, wearing a suit and boxing gloves, getting into a bathtub while wearing a swimming tube or drinking a margarita while wearing a sombrero. 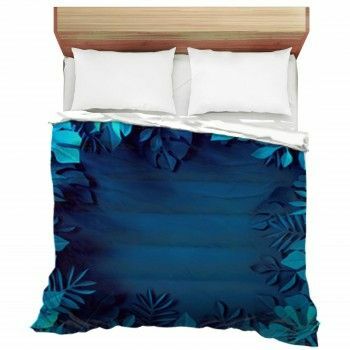 You and your guests will laugh every time you see it. 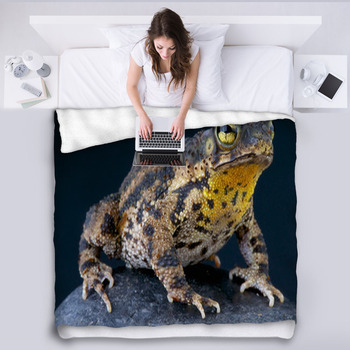 If you love watching nature documentaries about frogs, learning about the thousands of frog species that live around the world, and observing frogs in the woods, jungle or near lakes and ponds, then we have the perfect blankets for you too. 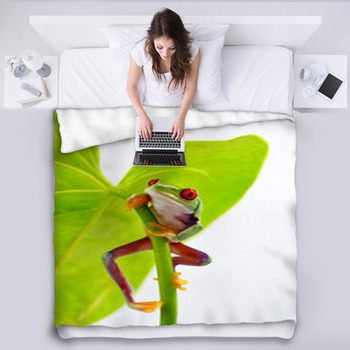 Choose the photographic blanket design of the underside of a broad leaf, through which shows the detailed silhouette of a frog, his sticky feet clinging to the leaf. 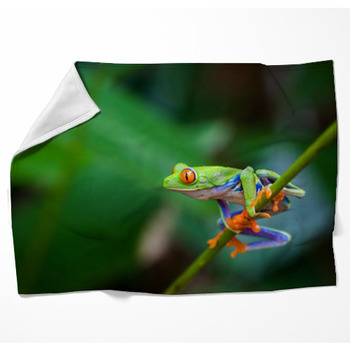 Or choose a blanket showing a green and blue tree frog with deep red eyes and yellow feet deftly climbing a branch. 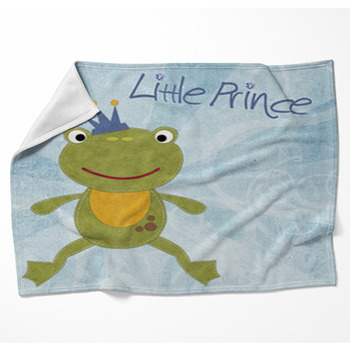 Or do you prefer a green and white frog hanging onto a green stem and staring into the camera? 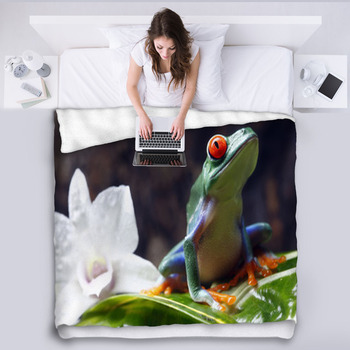 You can't live in a fairy tale or be in the jungle all the time, but you can bring the magic and laughter of frogs into your life every day with our frog themed blankets speacialy when you match it with a beatiful frog themed pillowcases.